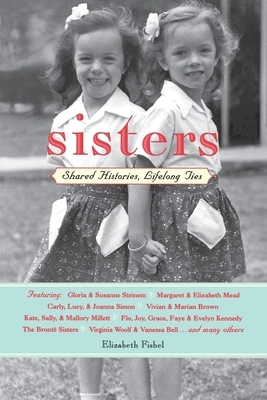 My writing life began in my twenties when I published my first book, Sisters, and started to work as a magazine writer and writing teacher. But after two miscarriages, I longed for motherhood. Still, once I finally became a parent, I worried that mother and writer would not mix. Sleeplessness, distraction, and simple besottedness, I feared, would be the enemies of creativity. Instead, I found that being a mother nourished my writing life in ways I hadn’t foreseen. For years I’d had uninterrupted stretches of writing time, but I frittered much of it away with day dreaming, plant watering, or long lunches out. Now I was working in stolen moments while my baby napped or in a couple of precious babysitter’s hours. But in whatever time I had, I became more productive. And even if a day’s output was tiny, I was happier and more balanced not putting all the eggs of my identity into one basket. More than that, motherhood became my muse, a whole new subject to write about. Whatever I was going through with my boys, I wrote an article or essay about it. I combined my from-the-nursery reportage with interviews with other parents and experts. Their guidance also helped me with my own parenting dilemmas, although I tended to be wiser in print than in person. Surprisingly baffled when my second son was born, I quickly re-read my Parents magazine article, “When Baby Makes Four” to see what advice I might offer myself. When Nate and Will were five and two, I published a book about raising young children. It was called Family Mirrors because it explored how our children’s childhoods reflect back our own. When it came out in paperback, it was re-titled I Swore I’d Never Do That in honor of our parents’ words that we often hear coming out of our mouths despite our best intentions to be different. As the boys got older, a few parenting magazine editors questioned my credentials to write about the family bed, sleeping through the night, and other pressing matters of infancy. I joked that I’d play a tape of a crying baby when editors called so they’d think I was still a new mother instead of cheering at my sons’ soccer games and waving them off to prom. When they left for college on the other side of the country, I thought my parenting days were over, and with them, writing about my favorite subject. But with the boys’ first phone calls home and the hundreds of email exchanges that followed, I realized I was not out of business yet. My husband and I still wanted to be good parents at this stage: to stay connected but also step back and allow room for self-reliance and independence to bloom. 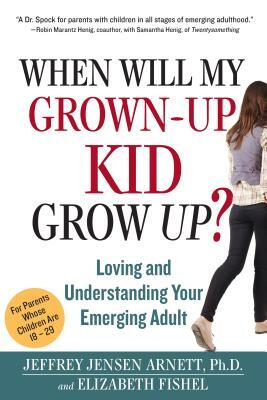 Out of this complicated dance --and extensive interviews with parents of 18- to 29-year-olds around the country--my latest book was born: When Will My Grown-Up Kid Grow Up? Loving and Understanding Your Emerging Adult. Co-written with developmental psychologist Jeffrey Arnett, it has been called a “Dr. Spock for parents with children in all stages of emerging adulthood.” It addresses many hot-button issues, lived firsthand, including love, work, financial stability, and moving home or moving on. Join our After Page One series. We’re looking for 300 to 500-word guest posts that motivate, inspire, and encourage other mama-writers, and we’d love to feature YOUR thoughts about getting started, getting back to a writing project, integrating writing with motherhood, reading, or having a positive attitude. The list is endless, but here are some questions that might help you get started. We’ll publish a short bio at the bottom of your post so readers can learn more about you and your projects. Elizabeth Fishel is the author of five nonfiction books and the mother of two sons, 29 and 26. She lives and leads writing groups in Oakland, CA. What a pleasurable glimpse into the journey of one writer/mother!